Patty McCord was the Chief Talent Officer at Netflix for over fourteen years as it evolved from a DVD rental busines to a powerhouse of streaming media and media production. Patty and the Netflix culture are featured in the book, Chapter 4 - Mission, Purpose & Values, where we share how their rebellious and radical approach has created a high-performing culture which is studied by others around the world. Patty is an advocate of practising radical honesty in the workplace, which comes across loud and clear in several used throughout the book. One of our favourites is “Maybe our people wouldn’t sue us so much if we didn’t piss them off so much”. The Queen of Rebels Patty McCord sits down with Glenn for a hearty discussion on the state of HR today–and what needs to change in order to move the dial on the way we work. Described by Facebook's COO Sheryl Sandberg as "...the most important document ever to come out of the Valley", this deck has been viewed an astonishing 17 million times. Patty was co-creator of the Culture Deck along with CEO Reed Hastings and others. There are no fluffy words or happy smiley faces, this is an unashamedly straightforward description of the unique approach to people that powered Netflix through a sustained period of disruption. The unique management practice at Netflix is described by their values which were updated in 2017 so a new value "Inclusion" could be added. This reflected Netflix's growing global role operating across many countries and cultures. The original Netflix Culture deck is now retired, replaced with a document explaining how Netflix is run and managed. It is 4 years since Patty left Netflix and in that time she's spoken at conferences across the USA, appeared on dozens of blogs and podcasts and taken the time to reflect and crystalise on what she and the Netflix team learned and did in those 14 years. In Powerful, Patty uses Netflix as a rich and unique case study to explore a brave world where people are treated as "fully formed adults" in a culture of minimal process and minimal procedure. A culture of "freedom and responsibility". 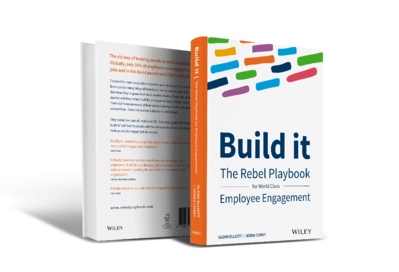 It's a stunning book for HR Rebels everywhere. Lessons from a Silicon Valley maverick - new ways of working and collaborating. TED Talks. And don't forget - the ultimate "Patty in a box" is her new book Powerful which you can buy from The Rebel Playbook store.